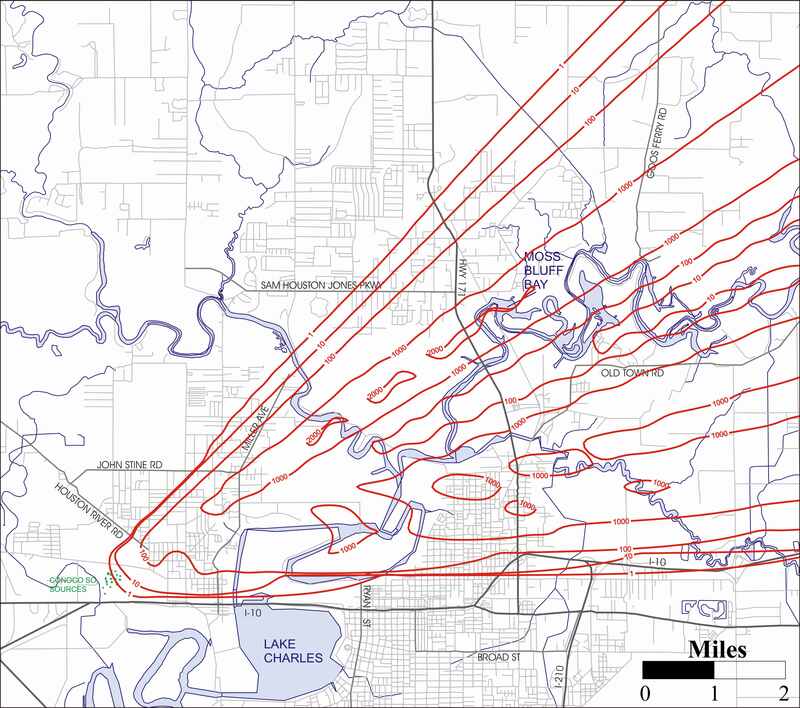 We conducted an air dispersion modeling study of sulfur dioxide (SO2) emissions from the Conoco refinery in Lake Charles during a process upset that occurred in January 2003. The SO2 emission rate was approximately five tons per hour. Shown below is an isopleth map depicting the maximum one-hour average SO2 concentrations that resulted from the incident. The underlying dispersion calculations were generated with CALPUFF. A high quality PDF version of the map is available here.